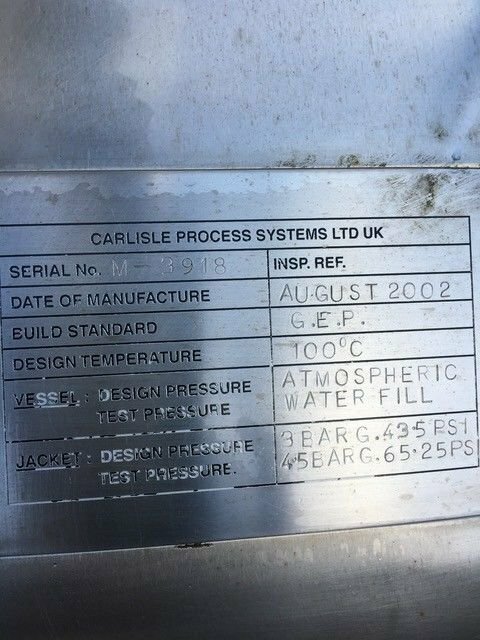 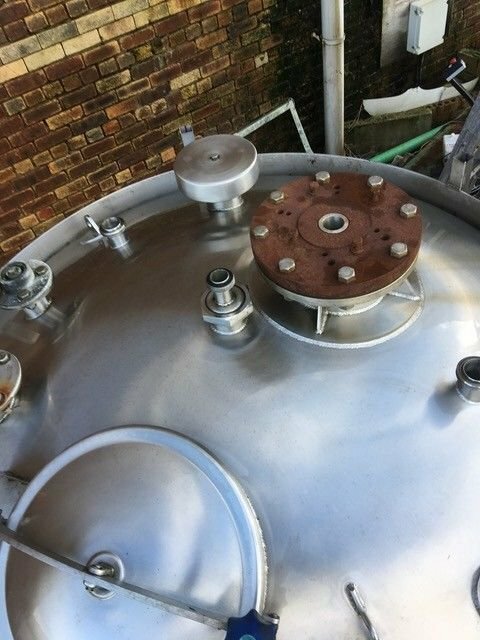 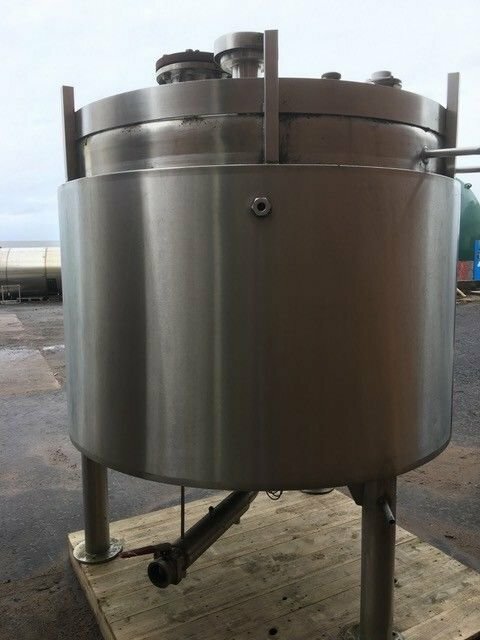 2000 litre 316 stainless steel vessel with fitting for mixer CIP and jacketed. 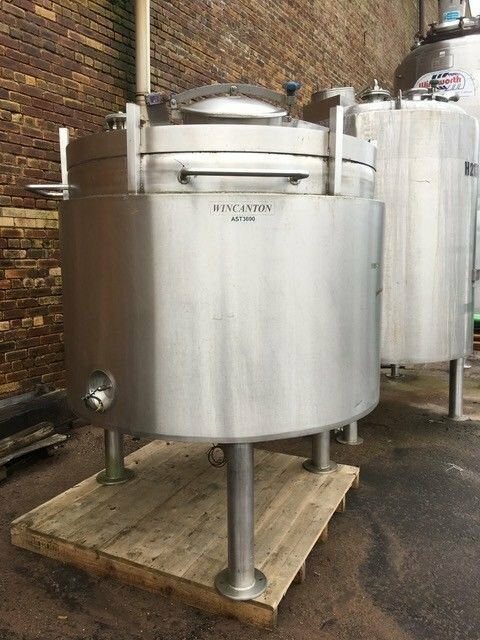 1.7 m diameter and 2.2 m overall high. 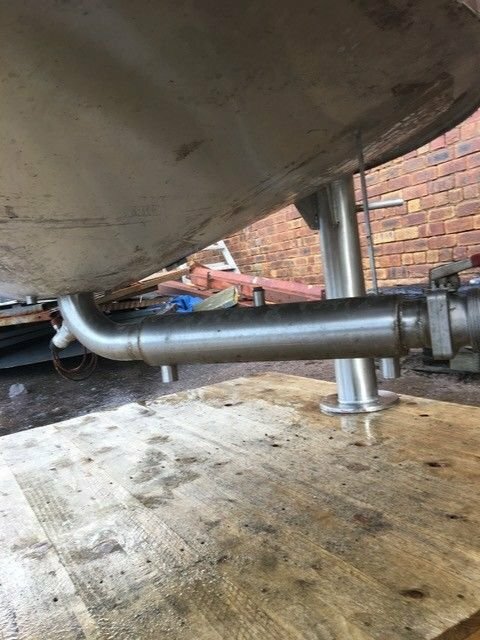 Stands on three stainless steel legs.